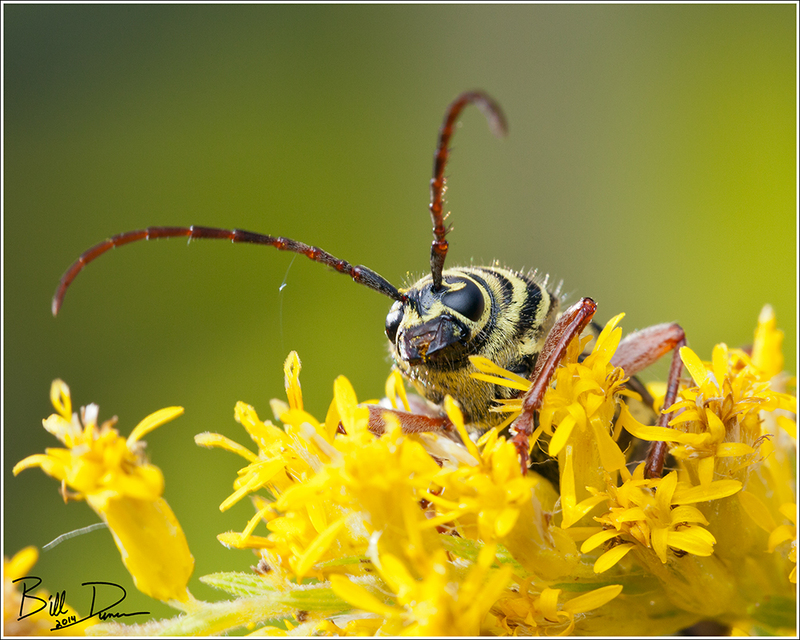 This Locust Borer (Family Cerambycidae) was photographed this fall feeding on Tall Goldenrod (Solidago altissima) that grow in my wildflower patches in our yard. 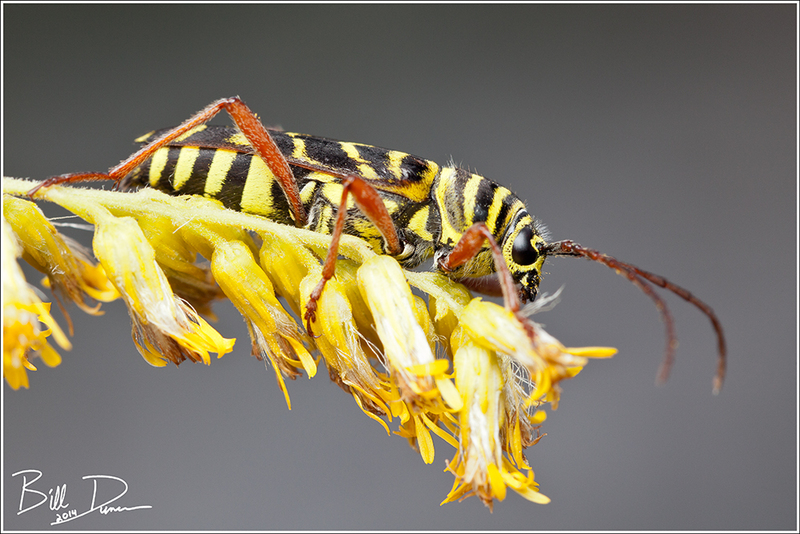 The Locust Borer’s preferred larval host plant, the black locust tree, is now widespread across North America and Europe, but was originally found in the Appalachian and Ozark regions. 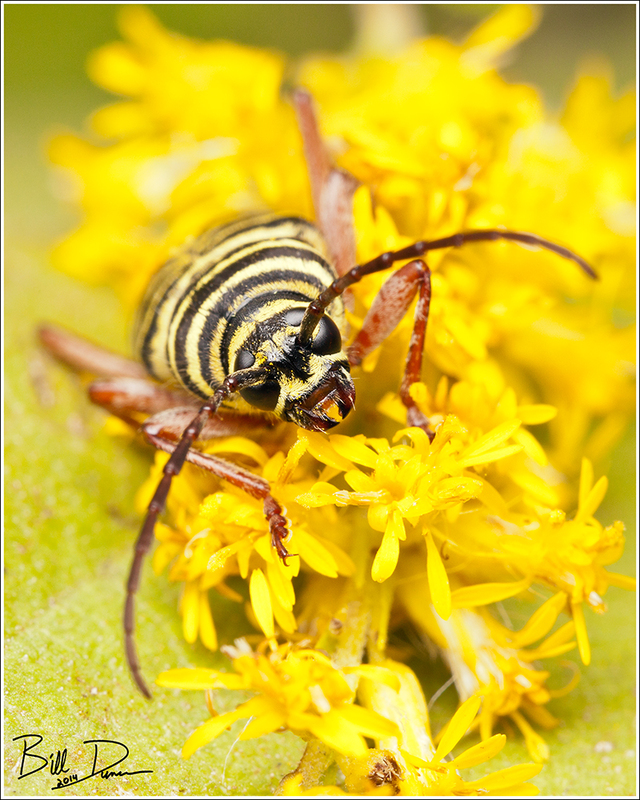 It is unclear whether the color and pattern of this long-horned beetle serves to mimic the aposematic coloration of the well-known yellow jacket wasps (Batesian mimicry), or for crypsis – allowing for camouflage in the goldenrod, where they are often found. Gorgeous. 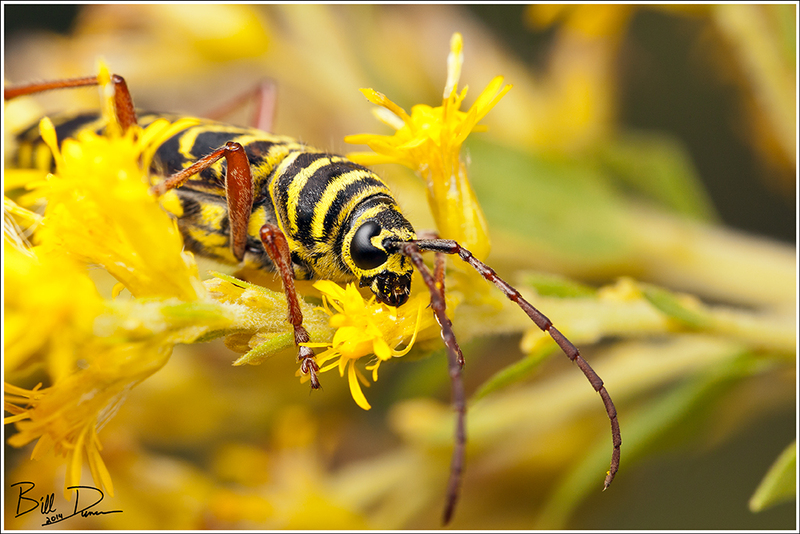 How exactly is it utilizing the goldenrod? Well, I know it feeds on nectar and pollen. It may also get some cryptic benefit. However, they seem to be pretty easy to find…? I guess it’s those massive mandibles. “Borer” I have no trouble imagining, but would never have guessed this guy feeds on nectar and pollen, or even spends much time above ground. Thanks! Next Next post: They’re Allowing Ozark Bill to Present in an Art Show…Again!?! ?